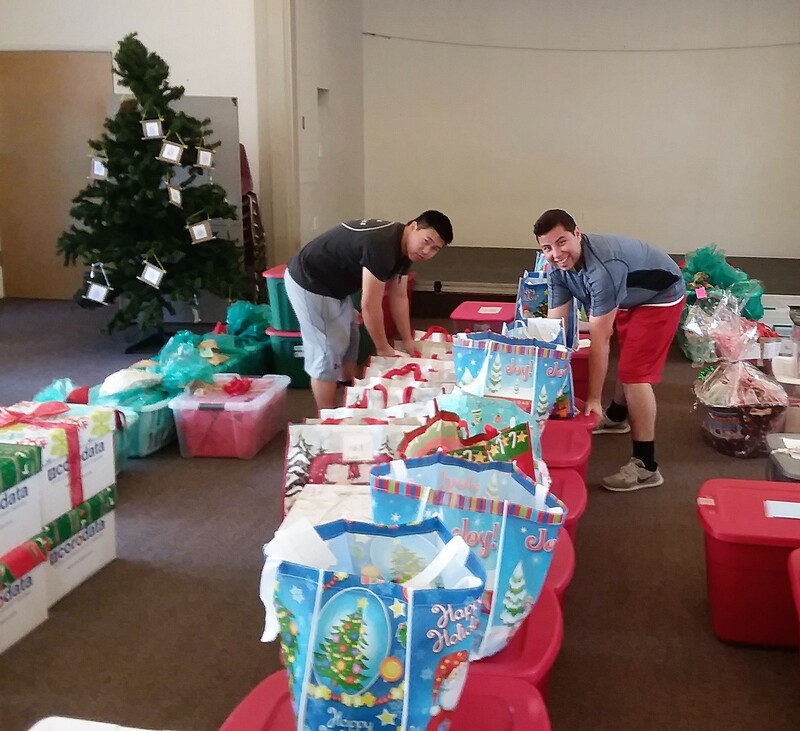 CCSA wishes to thank the many generous Sponsors who made up Christmas food baskets with gift cards for the 241 CCSA families who signed up this year. 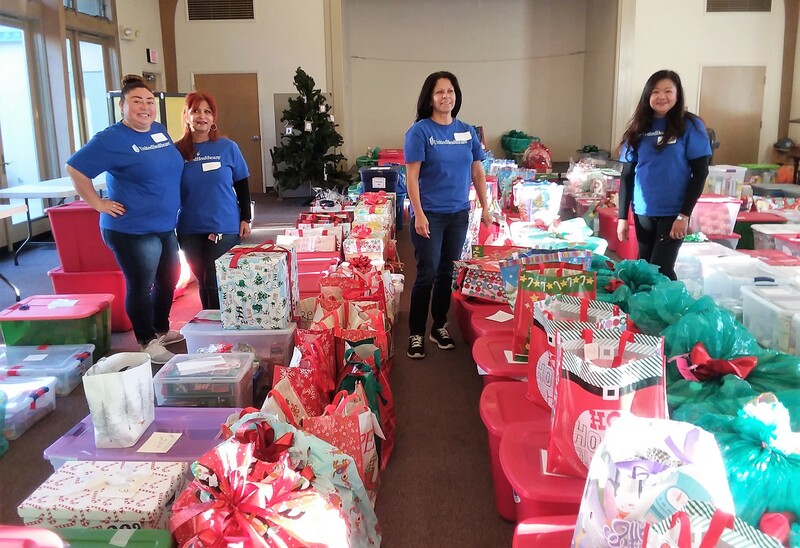 The work put into shopping for food items, finding the right basket or containers, picking out small special items for the family, decorating baskets with Christmas cheer, and then bringing them to St. Marks United Methodist church was nothing short of beautiful! 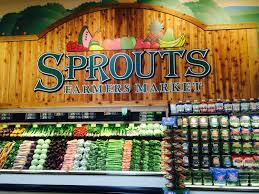 As clients came in to pick up their basket, little ones eyes opened wide at the sight before them in the hall. Moms & Dads with young children – along with singles and couples – expressed such sincere thanks. Older children left with a smile from ear-to-ear and could hardly contain their excitement. I would personally like to thank St. Marks for hosting this event and all the volunteers, especially those behind the scenes who made the organizing of this event flow so well. Becki, who connected clients with sponsors, Catherine and Kelly who got all the information up on the website. 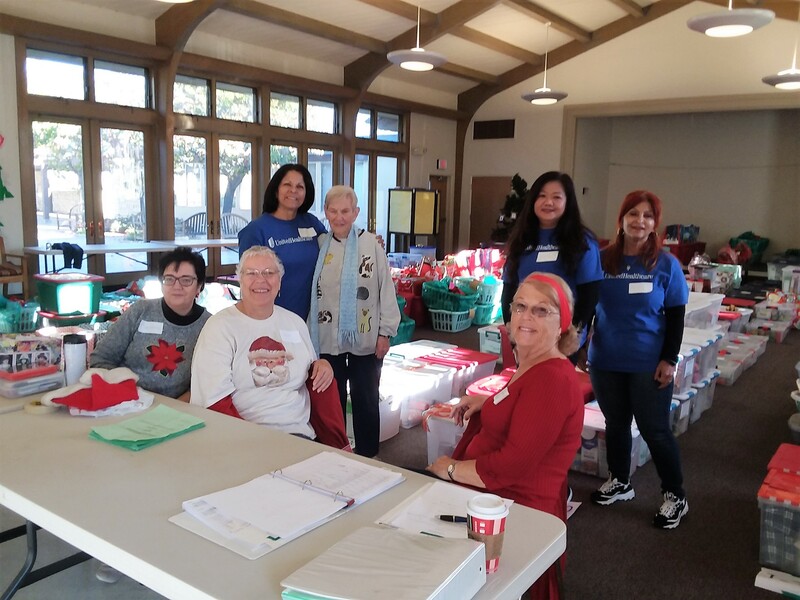 To Phyllis who faithfully helps each year, to Marianne who put together Christmas thank you cards, signs and fills in all I forget, to Alice and Julie who have been part of this program for several years now, Roseann & Leslie for all the hard work in putting those 30 large family baskets together; you are all truly amazing! 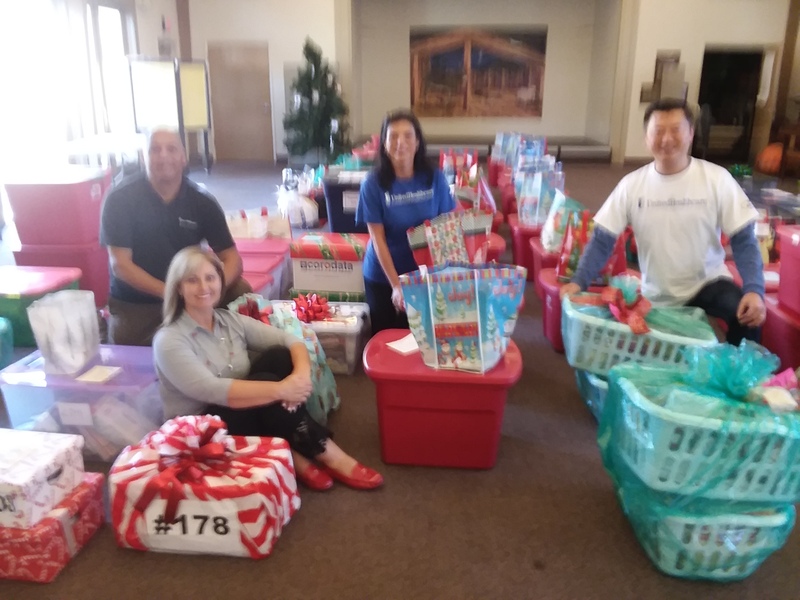 To all the helpers from the church of Jesus Christ Latter Day Saints who carried baskets from sponsors inside the hall and the volunteers from United Healthcare who helped clients to their cars or to a bus stop. You folks made it all so much easier! To Connie and Juana and all the volunteers at the agency office who signed up CCSA client families. Nicely done! 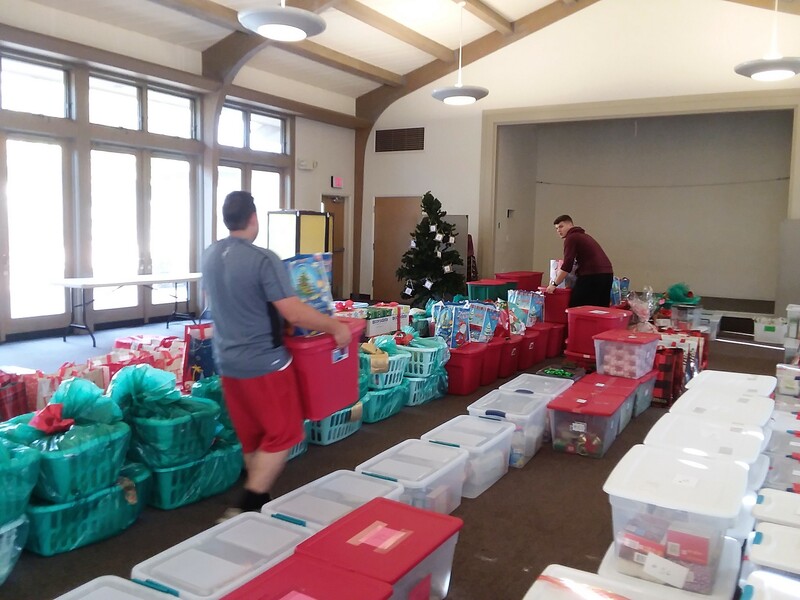 Many thanks to all the Church members that stepped up and put together many large groups of Christmas baskets. 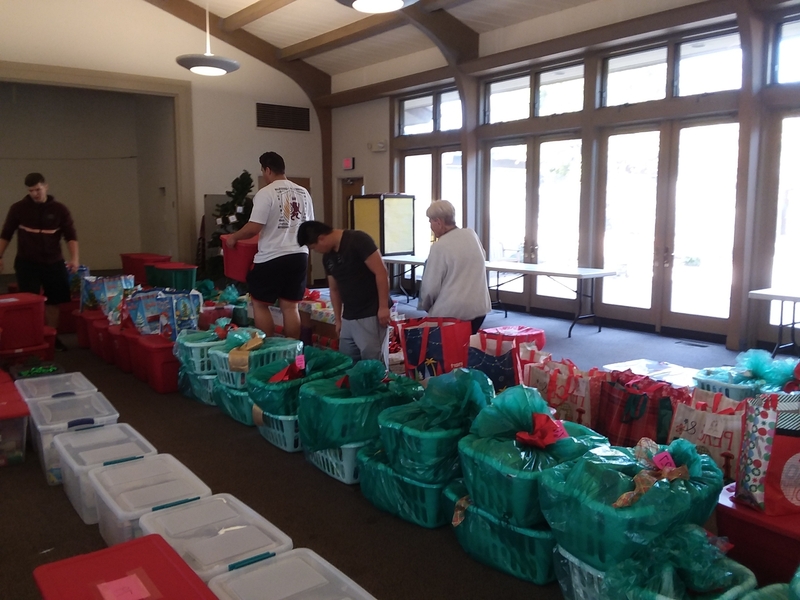 These efforts brought together lots of members of our CCSA member churches. 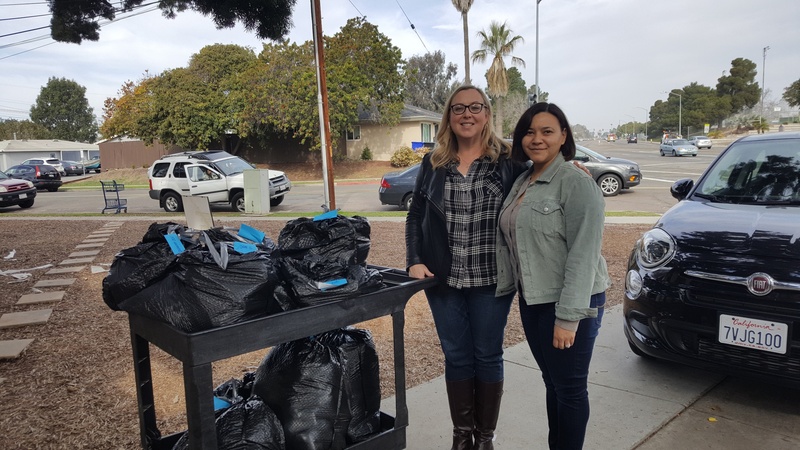 Many thanks to Christ Church in Coronado who donated 60 bags of groceries specifically for this program! 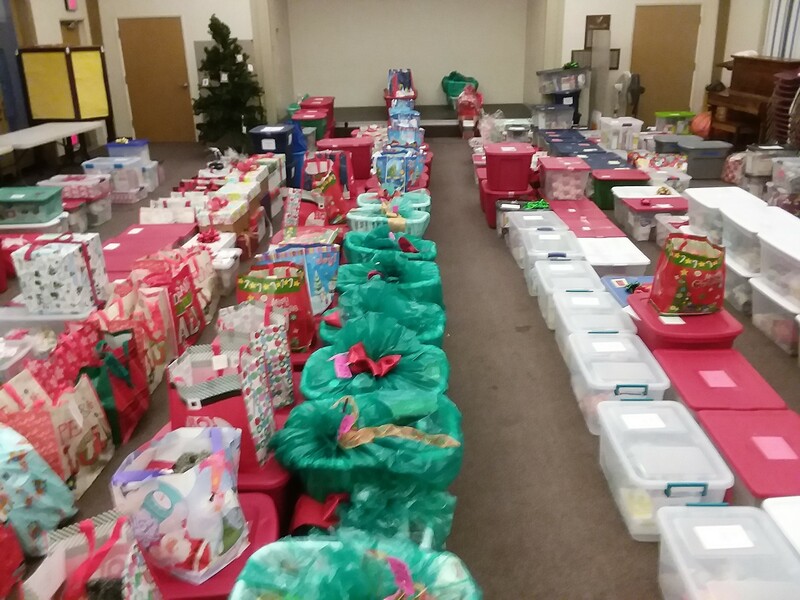 Your donations were a big part in those 30 Large family baskets coming together! And, of course, a SPECIAL THANKS to all the SPONSORS – YOU ARE THE BEST!!! 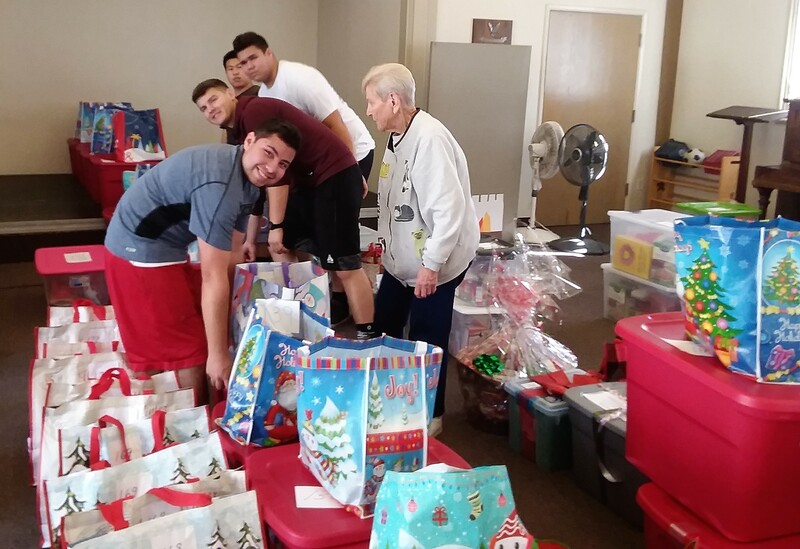 Your willingness to give of your time to share what you have with those in need this season truly expresses the Christmas spirit! God bless you for all your efforts and the results of those efforts in the lives of those in need! 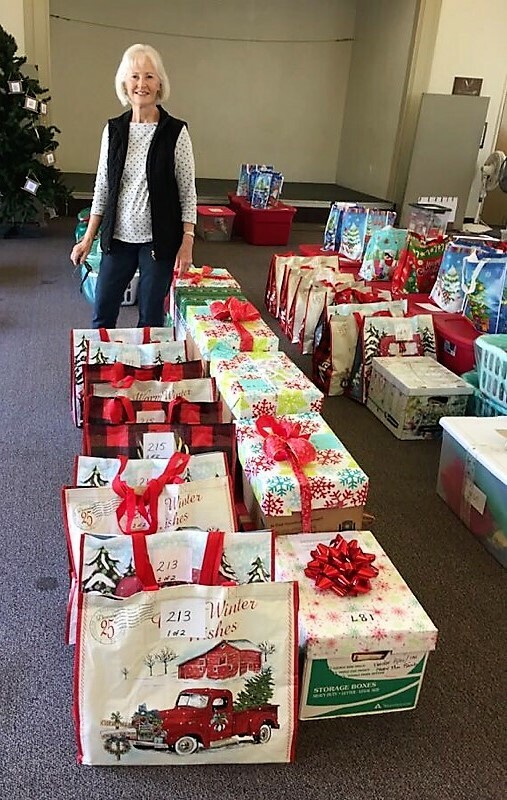 We all remain grateful to be a small part of making our client families just a bit happier this Christmas!